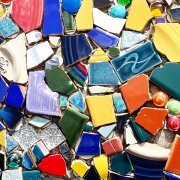 What is a Social Impact Ecosystem Builder? This is the first post in a series on social impact ecosystem building. The second post is “How The Social Impact Sector Can Become More Transformative” and third post, “How to Know if you are a Social Impact Ecosystem Builder” are published on LinkedIn and Innov8social.com. The social impact sector is growing and shifting. Over the past decade, I have seen the expansion of social enterprise in the US and abroad, spanning new business models, legal structures, impact metrics, types of funding and investment, and interactive events, experiences, and education informing and inviting new voices into the space. One unique marker of growth has been the expanding number of ‘social impact ecosystem builders’, of which I include my work with Innov8social. What is a social impact ecosystem builder? In this blog series, we will explore what this ‘meta’ role is, challenges faced when trying to serve the impact sector as a system, examples of who impact ecosystem builders are, and ways to become a champion the role. The social impact sector is growing. However you quantitatively or qualitatively measure it, the impact sector has been unmistakably bullish in the past decade. When I shared an article on SSIR about emerging legal structures in 2011, California was looking to become the 6th state to pass benefit corporation legislation. Fast forward to today when well over half of states and jurisdictions, namely thirty-four, have passed benefit corporation legislation at the state level. Another four have passed a version of social purpose legislation that also champions legal pathways for for-profit and for-impact entities. All of this to a tune of about 5,000 benefit corporations, according to co-founder of organizing body B Lab, Jay Coen Gilbert in a 2018 article. Additionally, there are nearly 2800 B corp certified companies globally– again, according to B Lab statistics–– that have proactively and successfully engaged in a certification process that underscores their commitment to social impact. These are companies that have elected to take a comprehensive assessment to show a double or triple bottom line, i.e. that they are companies that are pursuing multiple masters, not only profit; but also society and the environment. This certification is a pay-to-play model, much like Fair Trade certification, LEED, Cradle-to-Cradle, and numerous other sustainability certifications, a few of which are identified in this article by Forbes business journalist, Anne Field, who specializes in impact investing and social enterprise reporting. As the number of companies proactively and publicly aligning themselves with social impact is growing, so too are the investors that may support them. Social impact thought leader and journalist, Devin Thorpe cited a statistic by The Global Impact Investing Network in a Forbes article, that estimated that funding to tune of $228 billion had been invested in social impact in 2018, which was double the amount from 2017. Ok, so legal structures expanding: check. Certified and self-identifying social enterprises increasing: check. Impact investing growth: check. What about impact measurement? In the past few years, I have often shared my view of the opportunity in the space for a commonly-held, universal way of measuring social impact. I believe that with the United Nations 17 Sustainable Development Goals, we are on that path. Passed in 2015, these broad goals, and the accompanying 169 targets are giving us a common language, measurable milestones, and key interrelationships. Through the lens of SDG’s conversations around impact and measurement have the potential to go deeper and become more nuanced. Qualitatively, as a convener of an interactive impact event called Impactathon, I also have seen the welcome expansion of opportunities to engage new voices in the social impact sector. Be it through conferences, unconferences, curriculum, hackathons, courses of study, or professional organizations––there are more touch points and ways to engage than ever before. Perhaps most significant is that the social impact that past generations thought was ‘nice to have’ in addition to firm bottom-line profit is becoming a ‘non-negotiable’ for current and emerging generations as they plan for a sustainable future for a global population approaching nine billion, sharing finite resources. Even if you agree the space is growing, what does that have to do with social impact ecosystem builders? Well, it may help to map out participants and enablers in the sector. There are social entrepreneurs. There are impact investors and funders. There are government and quasi-government agencies. There are universities and learning institutions. There are impact measurement services and standards, including the UN Sustainable Development Goals. There are the publications and journalists. And, then there are ‘meta’ participants, who don’t fit solidly into just one of the categories, but which seek to address gaps and optimize the impact sector as a whole. This group has been identifying as social impact ecosystem builders. While many may rightfully count themselves in this category, I am particularly referring to a hybrid of conveners, consultants, coaches, and creators who form the interstitial scaffolding to help social impact actors tell betters stories, collaborate radically, scale meaningfully, and who play a vital role in inviting new individuals to the space, across sector, age, background, geography, education, and socio-economic background. Speaking as an impact ecosystem builder, we know there are gaps in the system, because we have seen it from working with various clients, initiatives, and organizations. We champion a systemic view of social enterprise and take it upon ourselves to be ‘cross pollinators’ and connectors of ideas, people and institutions. We wear multiple hats and use multiple tools to effectuate impact that is possible–– including convening and co-convening individuals in live settings, online settings, creating and co-creating content and media, designing and co-designing curriculum and experiences to empower ‘nodes’ within the sector; so that we can shift the impact sector from tendencies toward ‘heropreneurship’ to success by inclusive design. I have come to this role organically. First, primarily as a blogger, then a podcaster, author, coach, curriculum designer, instructor, convener, intrapraneur, consultant and collaborator––all with an eye and focus on social impact. 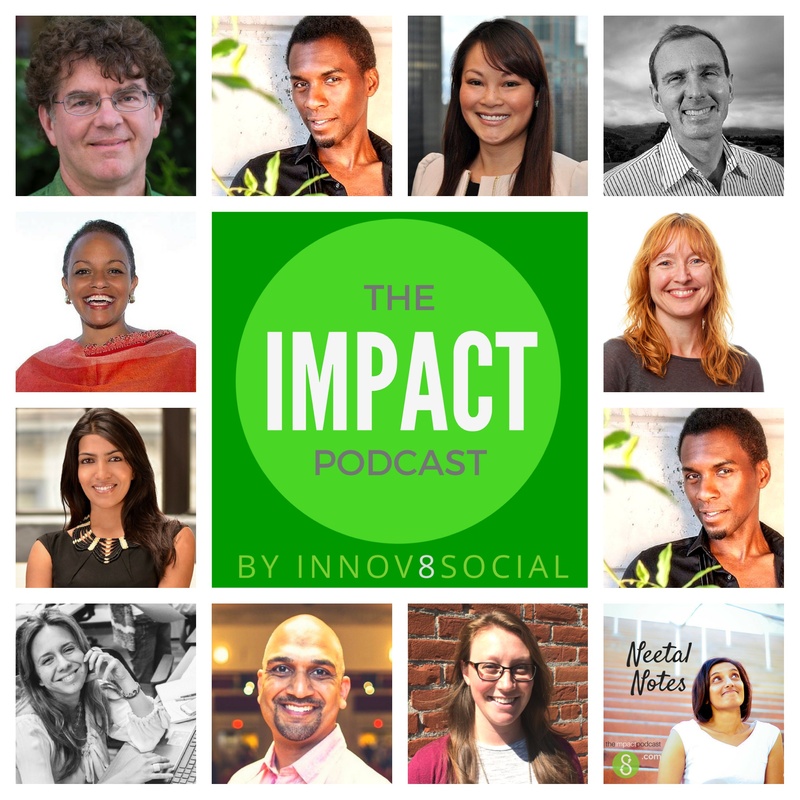 Do you identify as a social impact ecosystem builder? How do you define the role? This post is part of our #30daychallenge of new content. Support this challenge and our website and podcast episodes via our new Patreon page. Enjoy special perks by becoming a member today. I’m Neetal Parekh, the founder of Innov8social, author of 51 Questions on Social Entrepreneurship, and convener of Impactathon®. I work with social entrepreneurs, foundations, and universities to help build ecosystems for social impact through designing convenings, content, and communication strategies. To learn more, schedule a quick call and follow @innov8social. https://www.innov8social.com/wp-content/uploads/2019/03/IMG_1564-1.jpg 2585 2585 neetal https://www.innov8social.com/wp-content/uploads/2018/05/innov8social_logo_gray1.1.png neetal2019-03-03 21:12:502019-04-08 00:17:44What is a Social Impact Ecosystem Builder?